Ulm University is located in the southern part of Germany. It was founded in 1967 and is therefore a rather young university. Nowadays there are about 7 000 students with main subjects in medicine, natural sciences, mathematics, economics, engineering and computer sciences. The computer science department has about 20 professors doing research and teaching in all major areas of computer science. Ulm University is partner of XtreemOS with the Aspectix Research Team as part of the Institute for Distributed Systems. The team and its 7 researchers are working on multimedia platforms, middleware systems for adaptive applications and fault tolerance. The main task of UULM in XtreemOS is the development of a fault tolerance infrastructure called Virtual Nodes that can be used for grid applications but also for XtreemOS-internal services. Virtual Nodes are a framework providing multiple configurable implementations for replication support, e.g., Virtual Nodes provide active and passive replication protocols. The most innovative element of Virtual Nodes is the support of concurrency for replicated services due to different deterministic scheduling algorithms. For adding new replicas a special join protocol was developed that supports consistent state checkpoints even with concurrent service activities. Current work is the integration of Virtual Nodes technology into the XtreemOS job management services. The integration into security services is under consideration. In cooperation with Vrije Universiteit Amsterdam (VUA), UULM has contributed to the Distributed Server system that allows clients to use a fixed server address. The corresponding server socket can be moved between different server instances. UULM is working on the integration of Distributed Server technology with Virtual Nodes, which allows clients to remain completely agnostic about replication. £33,118 to £36,798 per annum, dependent on skills and ability. The STFC e-Science Centre (http://www.escience.stfc.ac.uk/) focuses on the exploitation of computing technology throughout STFC's programmes, its science communities, and the UK science and engineering base. The e-Science Centre is a partner in the European projects XtreemOS (http://www.xtreemos.eu) which aims to prototype a Grid operating system, and also holds a grant under the PIPPS scheme (http://www.scitech.ac.uk/KE/FOpp/PIPSS/Contents.aspx) which is exploring the integration of grid middleware into commercial environments. Further, the e-Science Centre has a programme to develop Grid based tools to support the scientific facilities at STFC, and also within the UK. The e-Science Centre is seeking a highly motivated individual to undertake research and technology development, including software implementation, on these and other projects. The post will explore the interoperation of Grid middleware (XtreemOS, GLite http://glite.web.cern.ch/glite/) and its use in commercial applications. You will have a good first degree and preferably a postgraduate qualification in Computer Science or related subject, or equivalent relevant experience. A proven ability in research and knowledge of the technologies of these projects are desirable, including: GRID middleware; Web Services; IT security; software design and implementation (e.g. C and Java). The post will require regular travel to partners in Europe, the promotion of the work of the projects via academic publications, and the development of further R&D opportunities, so good team working and communication skills are essential. Training will be available as appropriate, in accordance with STFC's commitment to the Investors in People scheme. An excellent index linked pension scheme and generous leave allowance are also offered. For further information and how to apply: please visit www.scitech.ac.uk, telephone 01235 446677 or e-mail recruitment-FBU@rl.ac.uk quoting reference number FBU274. Closing date for applications is 17th July 2009. Interviews will be held on 7th August 2009. The Italian National Research Council (CNR) is a public organization whose purpose is to carry out, promote, and improve research activities in the main sectors of knowledge, spread their results and help their transfer to the industry and their application, to further the scientific, technological, economic and social development of Italy. To this purpose, a network of CNR institutes is distributed all over Italy. To promote international cooperation and contribute to the development of key technologies, CNR participates in agreements, contracts and research projects with the European Union and with the other international organizations; among them the CNR membership of ERCIM and of W3C. Two of the CNR institutes, ISTI and ICAR, are involved in the development of XtreemOS. The SRDS daemons run distributed over the nodes of the XtreemOS platform, and offer resource and service discovery services to other XtreemOS modules and applications. SRDS resolves key-based and range-based queries, over both dynamic and static information. The main clients of the SRDS are currently the Application Execution Management (AEM) and the Job Directory Service (JDS) modules. They access information about computing resources and running jobs within a Virtual Organization. The SRDS layered architecture employs a combination of overlay networks and query resolution algorithms to improve on previous protocols (like LDAP) in terms of scalability, fault tolerance and flexibility. We exploit overlays based on the Distributed Hash Tree (DHT) paradigm, as well as custom networks like the RSS (also developed within XtreemOS, by VUA). The SRDS provides scalability, reliability and high availability on very large Grids, while also being able to satisfy the needs of diverse clients in terms of information management primitives and of access protocols (DIXI, RMI, Https). The CNR team also participates in the development of the Object Storage Device component (OSD) of XtreemFS, the XtreemOS File System. According to the object-based storage design paradigm for parallel and distributed file systems, within XtreemFS the content of a single file is represented by one or more objects. The OSD is responsible for storing file content as a set of objects, providing access to file data interacting with the other XtreemFS components. CNR contributes to the second development phase of XtreemFS focusing on testing it for POSIX-compliance. In this phase, the NTFS-3G test suite has been selected and is being used to assess the XtreemFS behaviour. The Institute of Information Science and Technologies (ISTI) is located in the CNR Research Area of Pisa. ISTI was constituted in September 2000, becoming fully operational in 2002, as a result of a merger between the former CNUCE and the IEI institutes of CNR. As a result, ISTI is the largest public IT research institute in Italy, enrolling about 90 permanent researchers, for a total of about 170 personell units with research fellows and PhD students. The domain of competence of ISTI covers Information Science, related technologies and a wide range of their applications. ISTI groups into 5 main thematic areas its 16 research laboratories, covering IT application fields as different as Visual Computing from Knowledge discovery, and of course including High Performance Computing (http://www.isti.cnr.it/ResearchUnits/Labs/hpc-lab/). Basic and applied research in the IT domain requires close integration of all components of the research community and academia with wide sectors of the industry, of business and of society at large. ISTI hosts the Italian Regional W3C Office, and is actively involved in collaborations with the academic world and in cooperative research, as well as in training and development programs, both national and international. The Institute of High Performance Computing and Networking (ICAR) (http://www.icar.cnr.it) has been established on May 2001 and is operative since June 2002. The Institute is located at Rende, Cosenza (Italy) and has two branches in Naples and in Palermo. ICAR currently enrolls about 60 researchers and technicians, distributed on the three sites. ICAR performs basic and applied research in the areas of High Performance Computing and Networking and Intelligent Systems, by cooperating with the academic world and other private and public research organizations active in these areas. In addition to its research activities, the Institute works on pre-competitive development and technological transfer of research results, and carries out educational and training activities, through scholarships and research fellowships, advanced post-graduate specialization courses, and non-university higher education activities. Since its founding on June 2000, Red Flag Software is growing rapidly and firmly to be the largest Linux company in Asia with more than 180 employees. Under headquarter located in Beijing, there are two subsidiaries in Guangzhou and Shanghai, and well-established sales channels and service networks are deployed nationwide. The product line includes high-end Linux server OS, cluster system, desktop OS, embedded system, technical support services and trainings. Our XtreemOS team is responsible for integrating XtreemOS system into Asianux opration system, including packaging, testing and integration, to promote its usage in China and even Asia.Our work also includes making some technical documents of XtreemOS Chinese. Now there are four people in the team who are fully or partly devoted to the relevant work of XtreemOS project. business communication solutions. Other products include medical imaigng software and the Gaea+ GIS/virtual globe solution. fields of communication security, scalability, fault tolerance, and large dataset processing into the afore-mentioned products, thus fitting naturally with the XtreemOS project. provided an initial prototype of the resource selection using various resource filters. We proceeded by supporting the job scheduler with a reservation management system. The job scheduler can thus rely on the timetables kept by each worker node, and a coordinating service on the level of the administration domain. As a future challenge, we will be tackling the reservation of resources between multiple domains. In parallel to this work, we provided the implementation to the Linux SSI scheduler, which performs the load balancing of the system. It relies on an interchangeable set of modules for system metrics and scheduling policies. Hence, it can take advantage of either the ready-made probes into the kernel, or use custom ones developed by third party or the users themselves. the Virtual Organisation policies, providing a way to isolate the users' jobs to only those resources that belong to the required VO, which happens already in the process of the resource selection. continued to assess their fulfillment. In the last year of the project we will lead the preparation of demonstrations and will also be involved in training activities, as a recent post about Kiberpipa presentation shows. Created in July 2000, European Aeronautic Defense and Space Company is Europe's premier aerospace and defense company and No. 2 worldwide. EADS employs more than 100,000 people in over 70 sites in France, Germany, Great Britain and Spain. Within EADS, Innovation Works provides world-class research capabilities in main aeronautics research topics. It has acquired a wide knowledge of advanced simulations techniques, especially in the field of wave propagation phenomena. It has a huge experience in the integration of such analysis techniques in industrial distributed environment from defining strategies and policies inside an organization to setting up user oriented portals for day-to-day operations. In XtreemOS, EADS Innovation Works will bring a scientific application widely used in its business units. The application is used to model and perform various analyses such as electromagnetic compatibility analysis or antenna siting analysis. As such EADS will be an active partner in the testing, experimentation and validation of this new high performance platform. Experimentations will be carried out on various clusters including internal resources and the XtreemOS test beds. 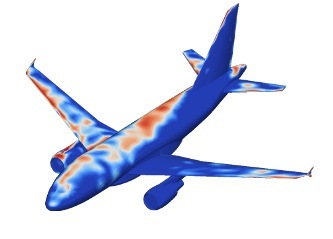 Participating to this project, EADS is preparing the answer to the growth of simulation requirements of its various business units (Airbus, Eurocopter, …). Caisse des Dépôts is a public sector financial institution that performs public-interest missions on behalf of France’s central, regional and local governments. Caisse des Dépôtsis also a leading long-term institutional investor. Caisse des Dépôtsis the leading shareholder in CNP (personal insurance). It also manages substantial portfolios of shares in listed companies, private equity investments (through CDC Capital Investissement) and real estate assets. CDC is an original structure, unique in Europe, combining in the same financial institution: public service activities (management of savings funds, funding of social housing, urban renovation, backup of small and medium size enterprises funds) and competitive activities (principally undertaken by subsidiary specialized professional bodies such as banking and financing activities, individual insurance, services and engineering for regional development). The existing relations between the public and private parts of CDC allow for the elaboration of flexible and imaginative solutions to respond to new needs, to the challenges of the markets globalization and of the European integration Management of projects on behalf of third parties, which is a traditional task that CDC performed since 1816.